I’ll be honest; my first reaction to hearing that Mandibles had opened at the Woodstock Foundry was something like, “Wait; what?” The second question was, “Do people actually ask to have their pets taxidermied?” This second question was the first I put to Julia Jaki when chatting with her earlier this week. 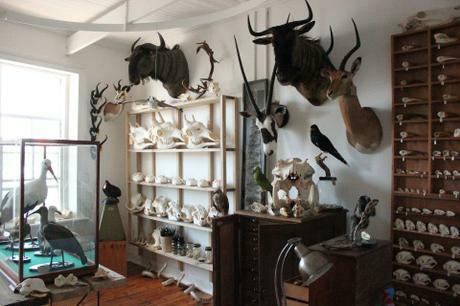 While Philipp Schulz qualified as a taxidermist in the USA 18 years ago, and has been quietly working out of his Woodstock workshop for as many years, you may be pleased to note, as I was, that taxidermied pets are not his line of business. Most of Philipp’s business comes from the export market, shipping to buyers, collectors and retailers overseas. 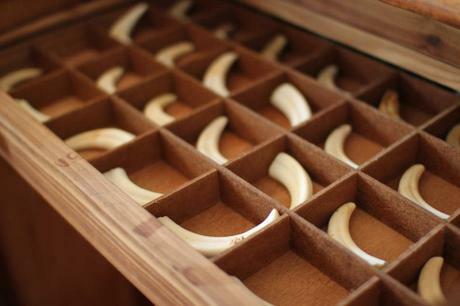 This includes everything from taxidermy mounts to tusks to quills, teeth, skulls and more. 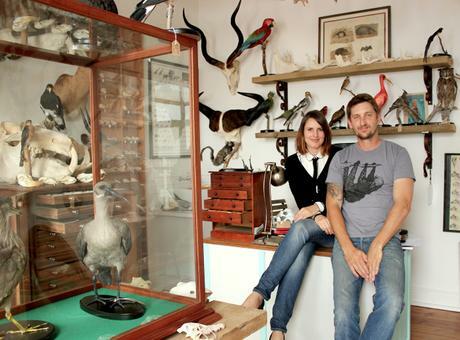 With an expanding local market – interior designers, artists, jewellers, collectors and even fashion designers – are among those who buy from Philipp – and and increasing awareness opening a Natural History shop was a logical step. 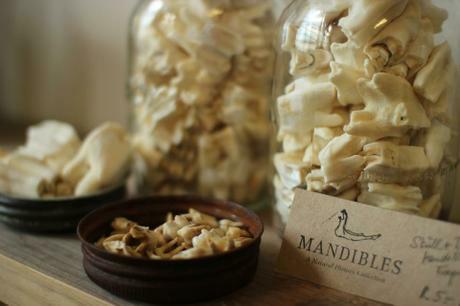 Interestingly, while Mandibles may be the first South African Natural History shop, they are more common in other parts of the world. 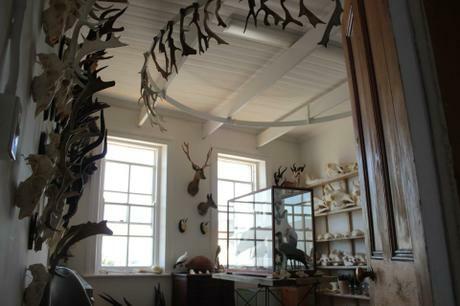 Two famous ones are Deyrolle (Paris) and The Bone Room (San Francisco). 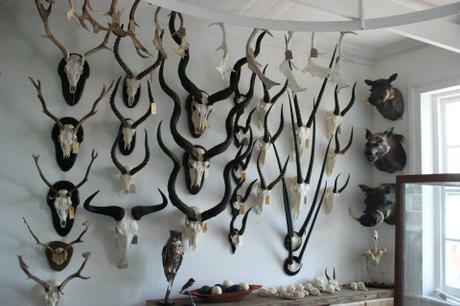 Worth noting, too, is that all the birds, monkeys and small mammals come from zoos and bird parks and have died of natural causes, while the skulls, horns and skull-mounts of the larger ungulates are by-products of South Africa´s sustainable game farming industry. 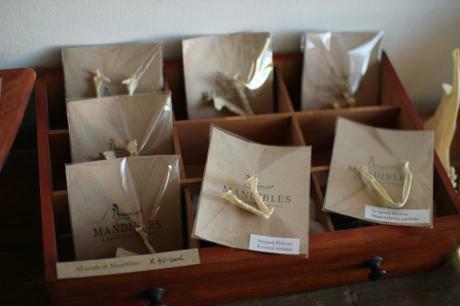 But Mandibles is more than just a shop. It’s also a learning experience. Julia says that since opening, visitors to the Woodstock Foundry have wandered into Mandibles and their reactions are often first surprise, then curiosity and the need to know more about the specimens on display, and finally, wanting to know if everything is for sale. If you’re in the area it’s well worth a visit. 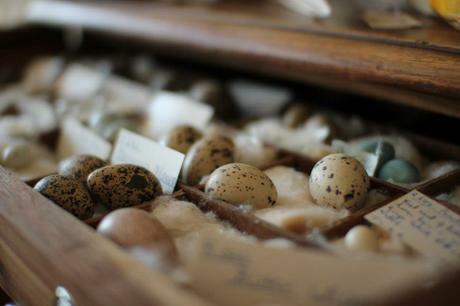 You will come out knowing a lot more than when you entered, and possibly owning a fascinating piece of local natural history.